We see them, if we look. From old southern wagon trails, sections now paved and named, running through green hills and long-abandoned plantation fields to depressions lined with oaks that shaded Sherman’s troops on their March-to-the-Sea. To Indian trails marked by the signal oaks, bent as they grew to mark trails and water holes and campsites. Even deep depressions made by hundreds of rolled tobacco bales making their way to the port cities of the Old South. 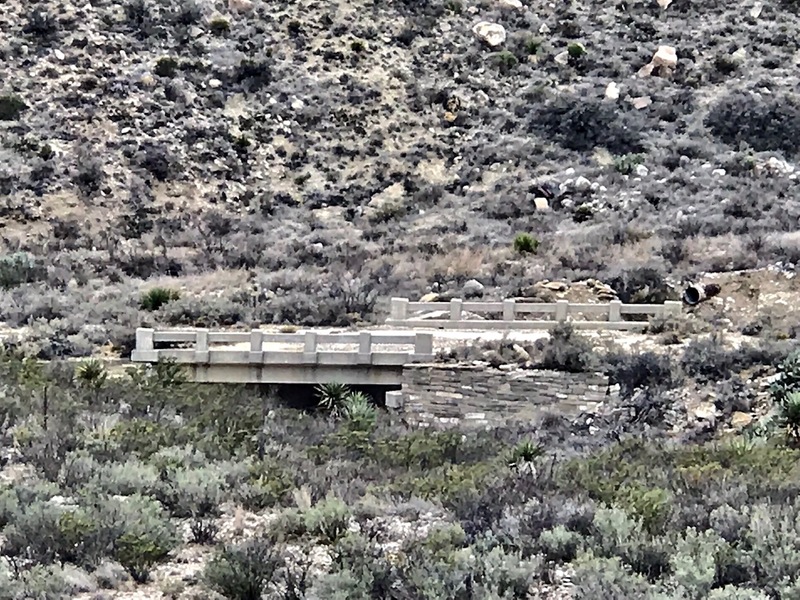 In western states, there are wagon trails with ruts still visible, and bridges with pilings showing just above creeks and streams with names like “Blood Creek” and “Muddy Stream”. The Natchez Trace winds its way through hills and over fords of rivers and memories of resting stations with names like “She Boss” (named because the Indian man would point to the white woman and say ‘she boss’), up in Tennessee. The ruts and indentations still visible from the thousands of wagons struggling to the port city of Natchez, Mississippi. 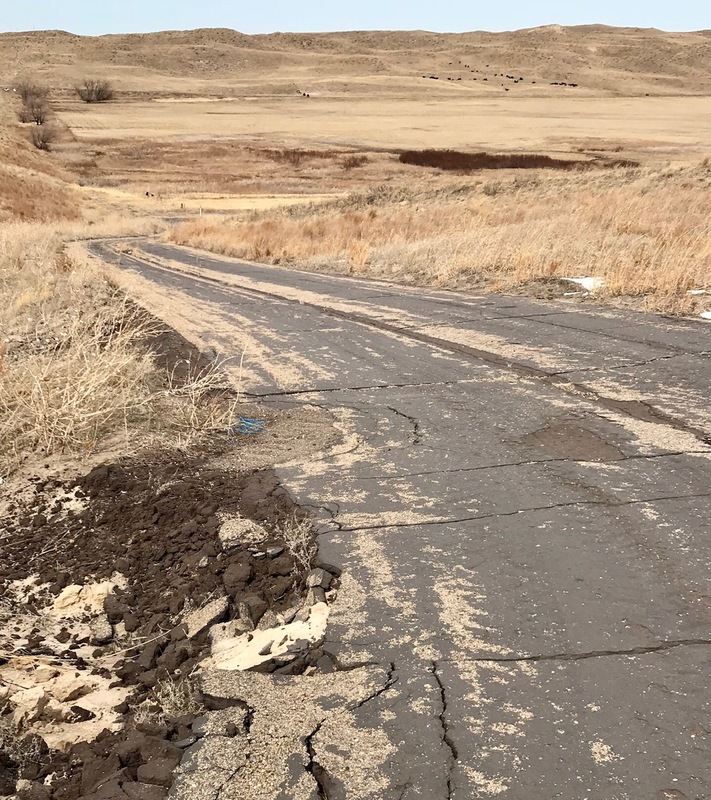 Ranches west of Old Man River and the Big Muddy, in family hands for hundreds of years have gentle, sloping access roads carved out so that a team of horses could make the inclines to the ‘big house’. Usually, the old road is bypassed now, because we have hundreds of horses harnessed under the hood and brute force is the way of modern transport. We use huge machines go to straight up over the hills now. The old roads are dangerous and curvy and limit our speed, they say. Perhaps they are right, since the crosses marking the last minutes of life are clustered on the curves. In the Snake River valley of Idaho, narrow, gentle paths run from the caprock to the water, now disused and mostly forgotten. 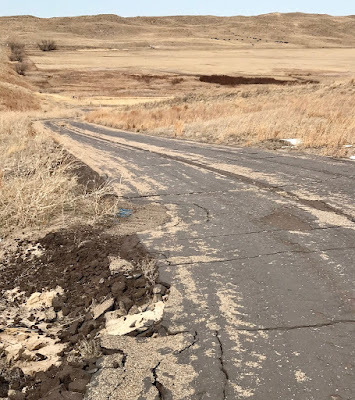 In South Dakota, old wagon train trails are marked as points of interest, parts are paved since they are still the best way to get to Rapid City rapidly. All with the gentle slope to convenience mule or ox-drawn transport. 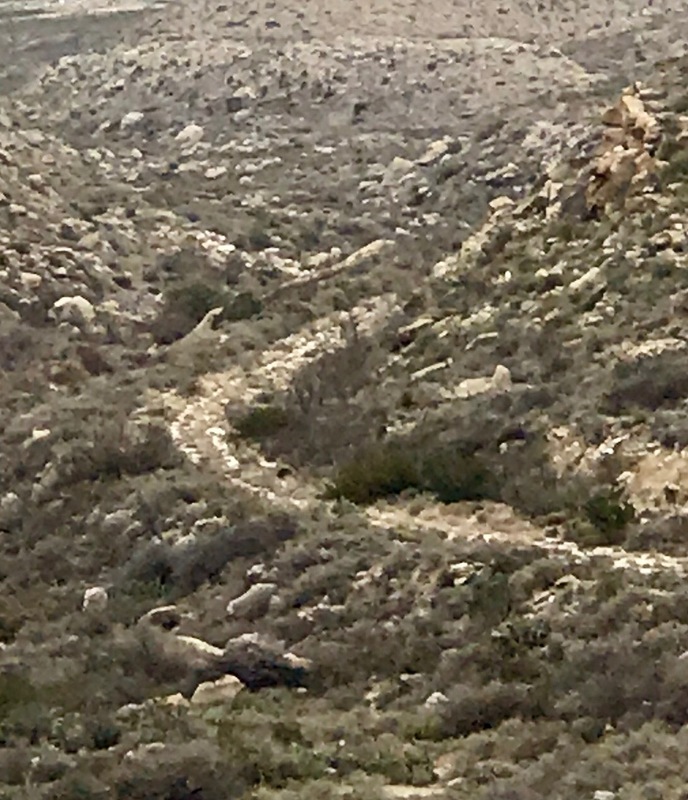 The desert Southwest holds on to their old roads the longest, it seems. A lack of rain means tracks a hundred years old seem like they are merely disused and not totally abandoned. In New Mexico, after crossing from El Paso, the modern highway bulldozes its way across the bleak landscape until it hits the mountains and pushes its way up through peaks. 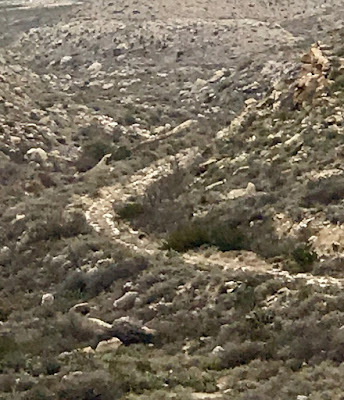 The old roads are still visible, cut from the rocks, weaving back and forth, crossing old bridges, sometimes with a bit of paint still on the centerline- now fenced off, and employed as resting places for cows and coyotes. Wisconsin and Minnesota, in the Great Northwoods, home to Paul Bunyan and Babe, the blue Ox, hide their old roads in new growth woods. They would follow the train tracks, rails now long gone, built to haul the huge trees to the sawmills in nearby mill towns. Some are still in operation. The roads are merely flat, gentle, overgrown depressions now, home to Ruffed Grouse, Elk, Bear, and Gray Wolf. The western coast of Oregon, where towns were isolated except by boat, has roads carved into the rocks above the crashing waves of the Pacific, in order to access their nearest neighbor up or down the coast. They are still visible when they are high enough to escape the constant scrubbing from the Pacific. My kids grew up listening to me discuss three things on road trips. Shortcuts, ridgelines, and old roads. All of them are related. Many old roads followed the crest of ridges (ridgelines) and were often the fastest way to get from place to place. Old Indian trails often followed the ridges. They were widened into roads, by settler’s wagons, and often were discovered as the best way for the railroads, who looked at hills as a challenge to be avoided, and would always take the least incline possible. I look at the old roads and wonder who traveled them, and why. Sometimes, it seems like such a waste to discard the work and sweat that went into their surveying and construction. But, I’m thinking those thoughts as I whiz by at a speed that covers a day’s wagon train ride every 10 minutes. So, maybe I just answered the question. Still, there is something sad about an old, cutoff piece of road. We are saying to thousands of past travelers, “You went the wrong way. Look, this way is much faster!” There’s a sadness and dejection to an old road still winding through the trees or hanging on to the side of a mountain. “I’ve served my purpose, did my job, and now I’m set aside. Maybe, they’ll need me once again.” Maybe. Or, like Route 66, it will be marked and remembered, from Chicago to LA, and celebrated by the children of the children that actually passed over the asphalt in the family station wagon, the “way in back” seat facing rearward. Keep an eye out for “the old road”. They are easiest to find out West, traveling through the mountains. And, when you find one, imagine an early automobile, or a wagon piled high with possessions, struggling up the hills, carrying a family wide-eyed with amazement at the scenic countryside so foreign to the land they left behind. The old roads connected us. They made us a country.